Chronic inflammation plays a central role in some of the most challenging diseases of our time, including rheumatoid arthritis, cancer, heart disease, diabetes, asthma, and even Alzheimer’s. This report will examine the role that chronic inflammation plays in these conditions, and will also provide information on the breadth of drugs currently available to alleviate symptoms. Drug choices range from simple aspirin, a nonsteroidal anti-inflammatory drug that’s been available for more than a century, to disease-modifying drugs and so-called biologics that promise more targeted treatments. If you’ve ever twisted your knee, cut your finger, or been stung by an insect, you have firsthand experience with inflammation. The familiar sensations of pain, redness, swelling, and heat that result from an injury or infection are hallmarks of the inflammatory process. Inflammation represents an essential survival mechanism that helps the body fight off hostile microbes and repair damaged tissue. Yet there is another side of inflammation that can be harmful rather than helpful to human health. There’s evidence that inflammation, promoted in part by such factors as obesity, smoking, and a sedentary lifestyle, contributes to a variety of diseases. There are two forms of inflammation: acute and chronic. Acute inflammation comes on rapidly, usually within minutes, but is generally short-lived. Many of the mechanisms that spring into action to destroy invading microbes switch gears to cart away dead cells and repair damaged ones. This cycle returns the affected area to a state of balance, and inflammation dissipates within a few hours or days. Chronic inflammation often begins with the same cellular response, but morphs into a lingering state that persists for months or years when the immune system response fails to eliminate the problem. Alternatively, the inflammation may stay active even after the initial threat has been eliminated. In other cases, low-level inflammation becomes activated even when there is no apparent injury or disease. Unchecked, the immune system prompts white blood cells to attack nearby healthy tissues and organs, setting up a chronic inflammatory process that plays a central role in some of the most challenging diseases of our time, including rheumatoid arthritis, cancer, heart disease, diabetes, asthma, and even Alzheimer’s. This report will examine the role that chronic inflammation plays in these conditions, and will also provide information on the breadth of drugs currently available to alleviate symptoms. Drug choices range from simple aspirin, a nonsteroidal anti-inflammatory drug that’s been available for more than a century, to disease-modifying drugs and so-called biologics that promise more targeted treatments. 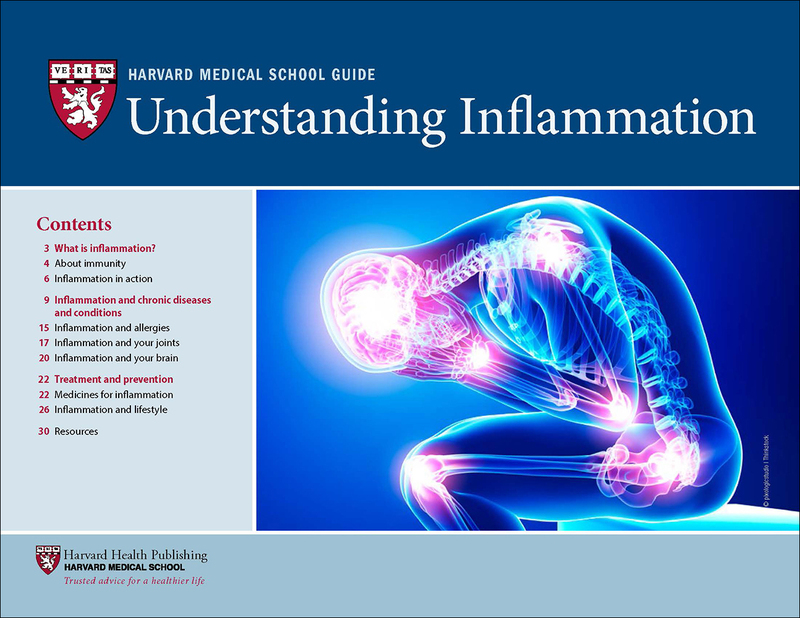 Lifestyle choices, diet, and even family history play a role in the diseases and conditions brought about by chronic inflammation, and each will be discussed in turn. An understanding of how chronic inflammation influences health can lead to a better conversation between you and your doctor, and speed treatment and prevention. 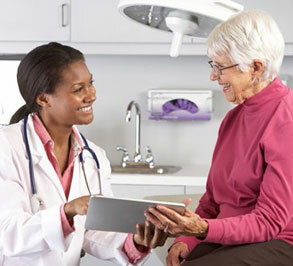 Harvard Medical School Guides deliver compact, practical information on important health concerns. These publications are smaller in scope than our Special Health Reports, but they are written in the same clear, easy-to-understand language, and they provide the authoritative health advice you expect from Harvard Health Publishing. Inflammation is a vital function of your innate immune system that is triggered immediately when it detects an invading pathogen or damaged tissue. Near the area of damage, the walls of tiny blood vessels called capillaries expand to bring more blood to the area. They also become more porous so that fluid, proteins, and white blood cells are allowed to migrate into the spaces between cells in the affected tissue—a necessary step to contain an infected area. The area then quickly becomes hot, red, and swollen from the increased blood flow and fluid accumulation. Pressure from the fluid buildup and inflammatory molecules that are drawn to the area can irritate nerve fibers and lead to pain. As a result of these changes, the tissue in the inflamed area may not be able to function as it should. For example, you may not be able to walk if you have a twisted ankle, or swallow properly if you have a sore throat. The final stage of the inflammatory process is termination and repair. Once the offending pathogen or substance has been eliminated, tissue repair begins. The surviving cells regenerate to replace damaged ones. Cells that are part of less complex structures, such as the surface of the skin, regrow easily. Cells in more complicated organs, such as the liver or glands, do not normally increase in number but may be prompted to do so after damage has occurred. If it is impossible to regrow normal tissue at the site of the inflammation, scar tissue may form to fill in the deficits. However, if the threat remains and the immune response is constantly triggered—or an individual has a condition that is causing the immune system to react as if there is a threat—the inflammatory response can continue and damage the body instead of healing it.